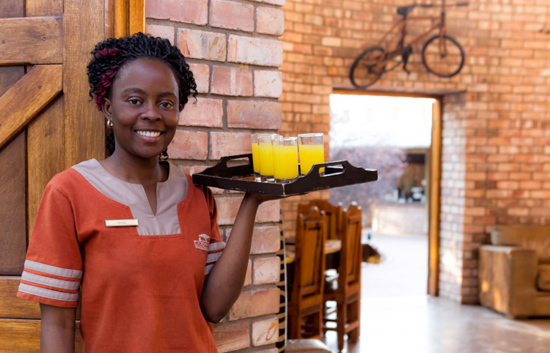 You are welcomed at Etosha Village by our friendly reception staff. 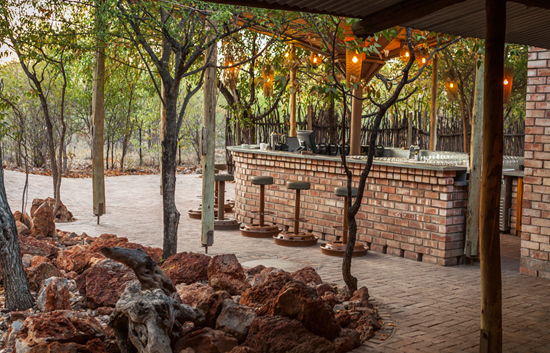 Once you have had the opportunity to explore our establishment you will understand where the concept 'Village' originates from! 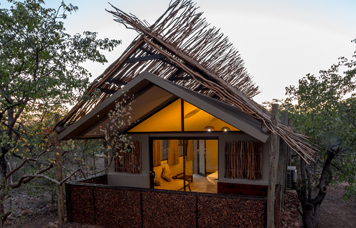 The design is based on a typical Namibian traditional 'Rural Village' as you would find in the northern countryside – the outlay of Etosha Village was planned accordingly. 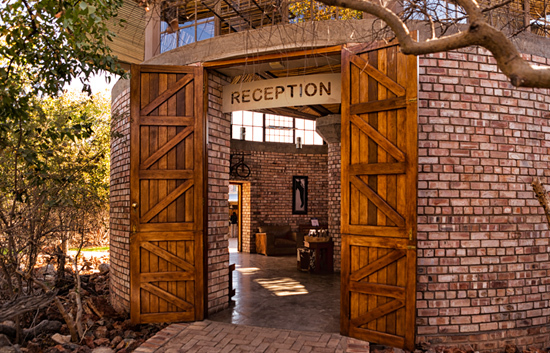 The Reception, Cuca Shop and Adventure Centre are all round structures or 'Rondawels' - in the rural villages it is a symbol of being 'open and friendly' – everyone is welcome! 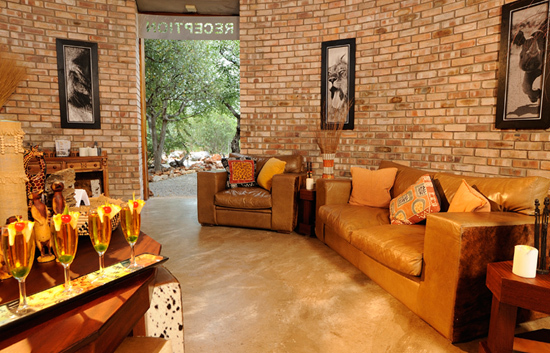 At Reception we have Internet facilities and a chess set should guests wish to use it. 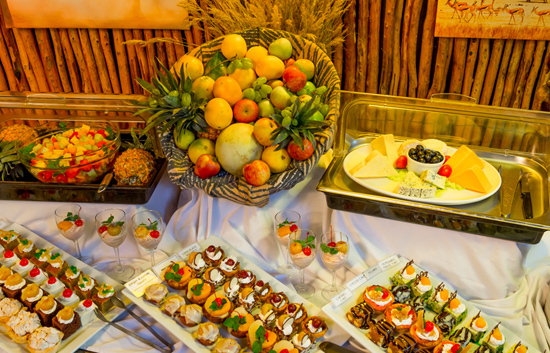 There is a 24 hour coffee station available at our buffet area with a variety of coffees and teas to enjoy at any time! 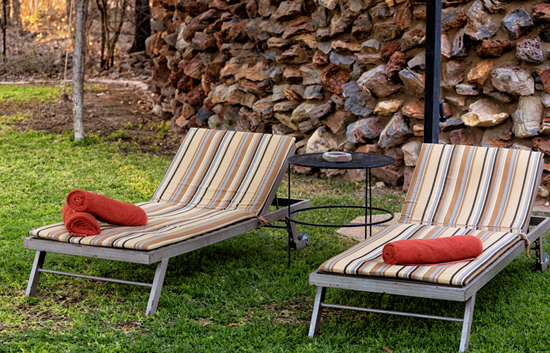 Pool towels are available at reception to use at the swimming pools. 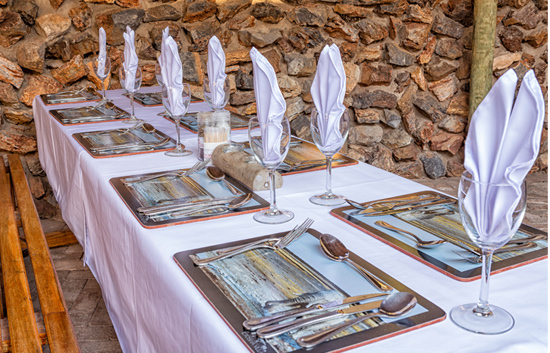 At a typical Namibian Rural Village families are divided into three areas when dining. 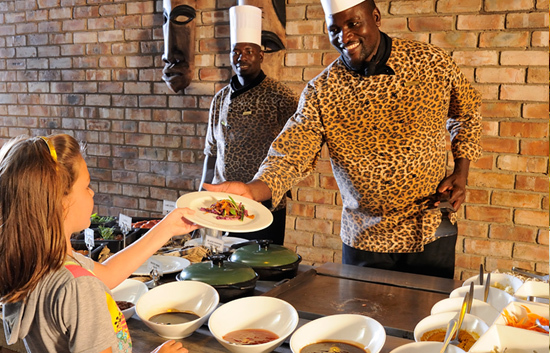 Traditionally one area is dedicated to men, one to women and the other for the elderly and children. 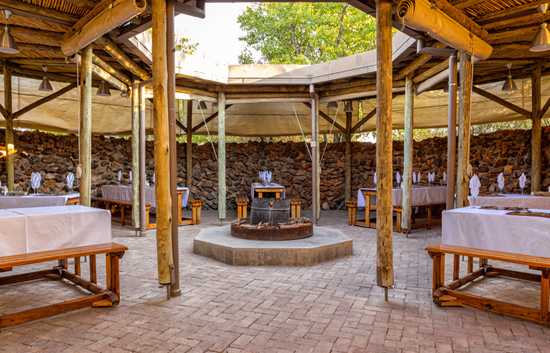 When Etosha Village was designed, we remained true to this tradition and created three different dining areas at our restaurant, but of course not split into gender groups. 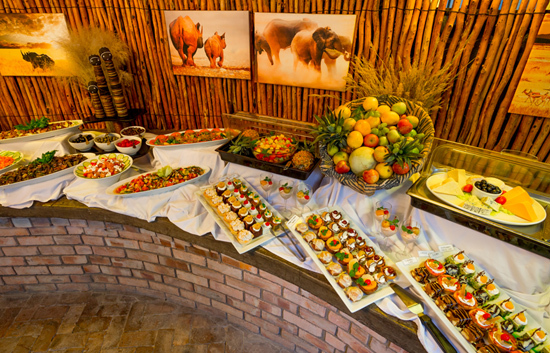 Etosha Village is well known for inspiring cuisine and many guests have claimed that it is the best buffet dinner experience in Namibia! 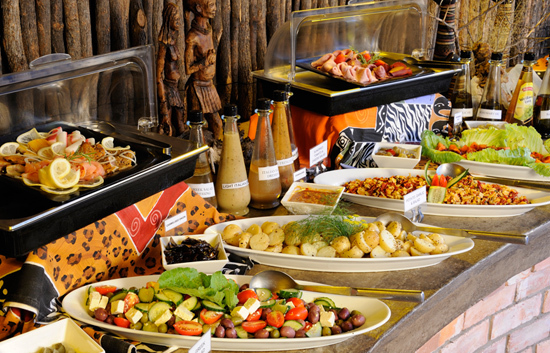 You can start your day with a scrumptious buffet breakfast with an extensive selection of all the favourite delectable breakfast foods and treats. 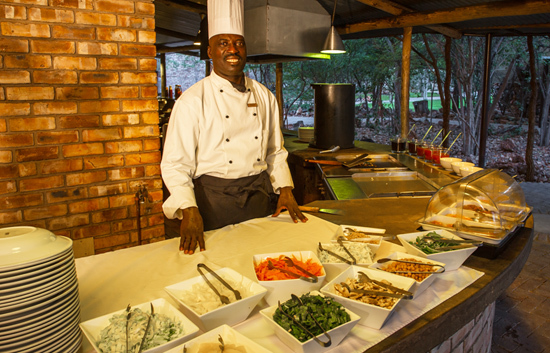 Lunch is served a' la carte with loads of mouth-watering dishes to choose from. 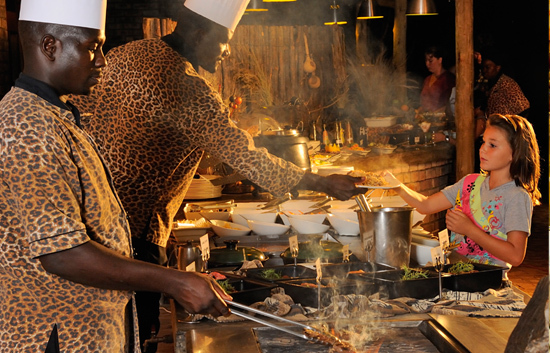 At the buffet area there is a 24 hour coffee station with a variety of coffees and teas to enjoy at any time! 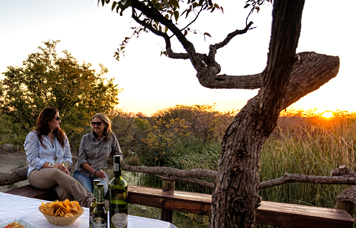 Enticing lunch packs can also be ordered the evening before at reception to take along on self-drives or guided excursions to Etosha National Park. 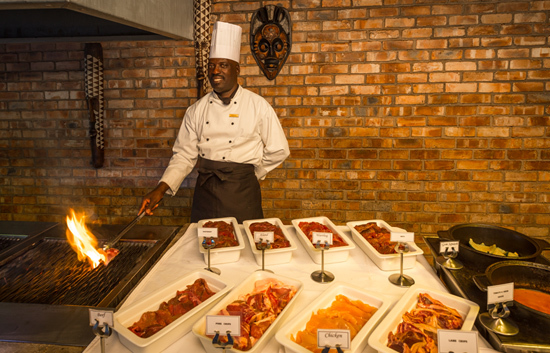 * Please note that on the occasion when we have less than 20 guests in-house we serve a delicious plated 3 Course Dinner and have a set menu available at Breakfast. 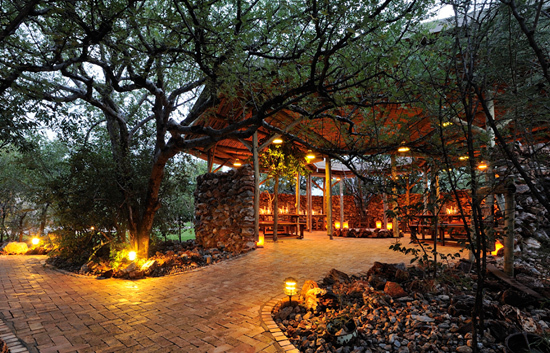 The unique open-plan bar at Etosha Village is replicating the round shape of typical African-style huts usually found in traditional villages. 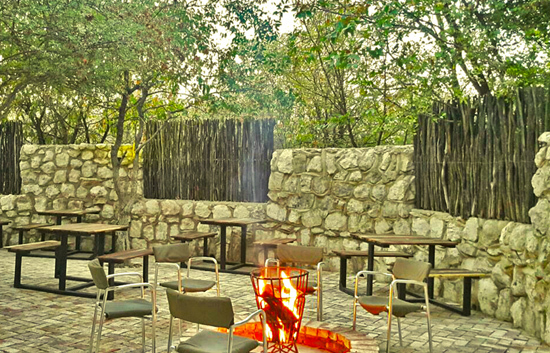 The bar area feature a cosy fire pit to create a welcoming atmosphere and a big screen television for viewing nature programs and sporting events whilst enjoying your refreshments. 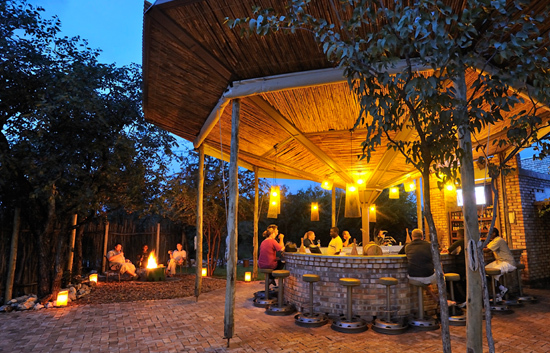 We stock a wide selection of beverages as well as an impressive collection of the best South African wines. 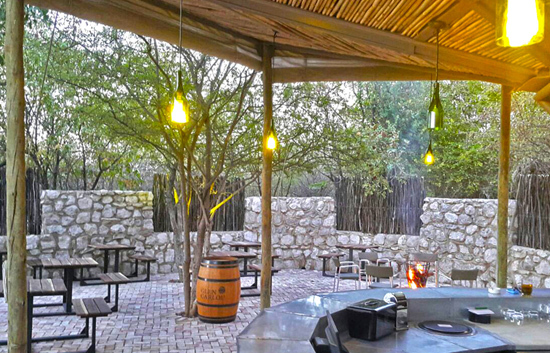 Be sure to taste our famous house wine, the Spotty Cellar Collection, and be entertained by the story of our very own resident zebra, Spotty. 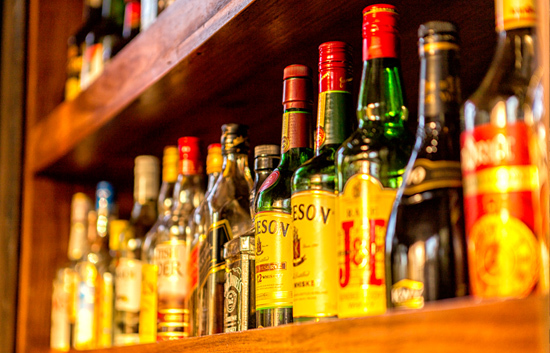 The Bar is always open during service hours. 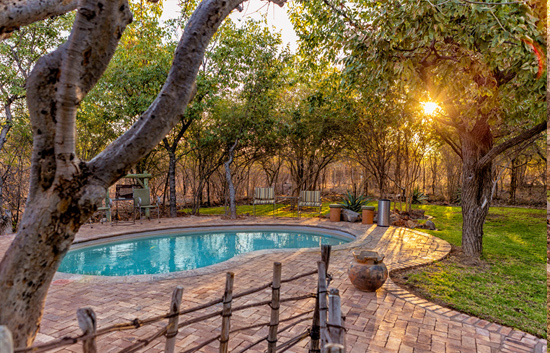 The large garden and pool area create a relaxing environment at Etosha Village. 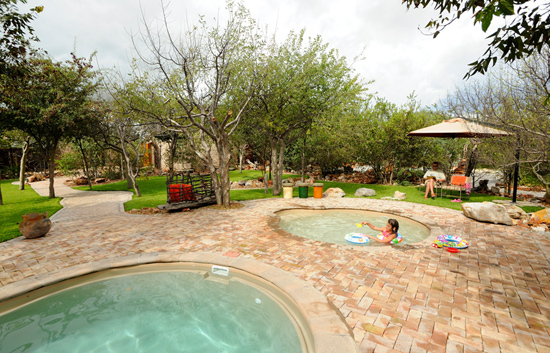 A refreshing dip in the large 4 x 10m pool will go a long way after a hot day of sightseeing in the park. 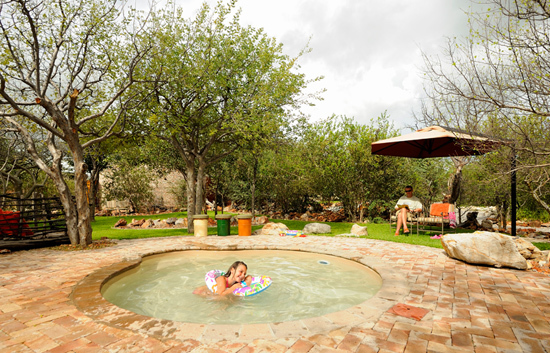 A medium rounded pool is ideally situated for parents to cool off while they can keep a close eye on their children in the adjacent kiddie pool. 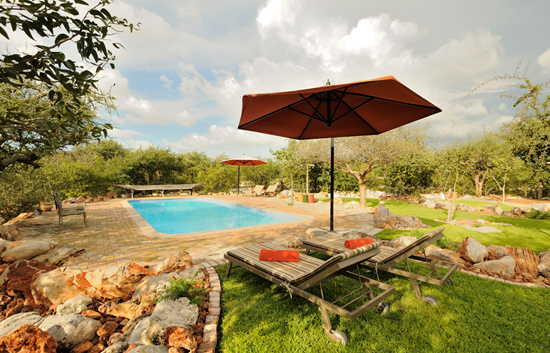 There are quite a few spots around the pool area with comfortable sunbeds to relax with a good book or to enjoy a few cocktails and beverages. 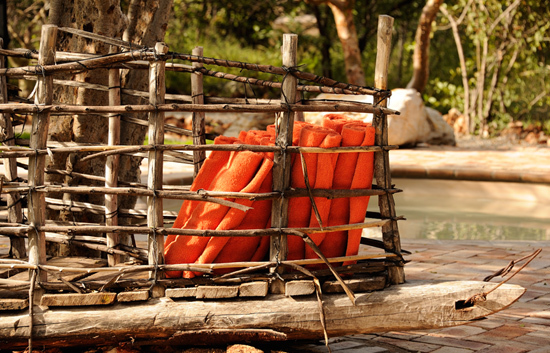 Pool towels are available at reception. 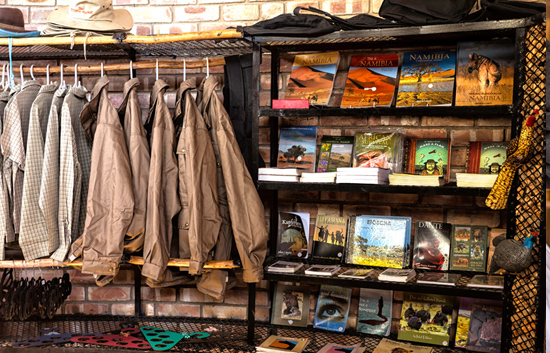 Reading material and sunblock are available to purchase from the Cuca Shop. 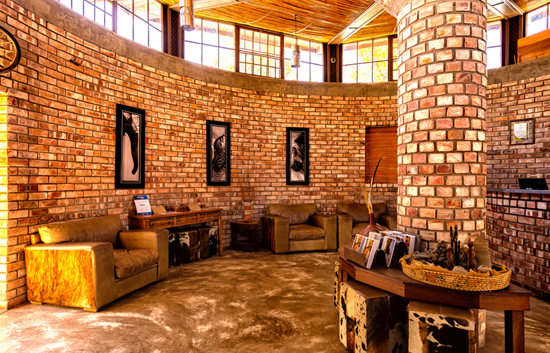 Next to the reception area there is another African style hut (rondavel) hosting the 'one stop Cuca shop'. 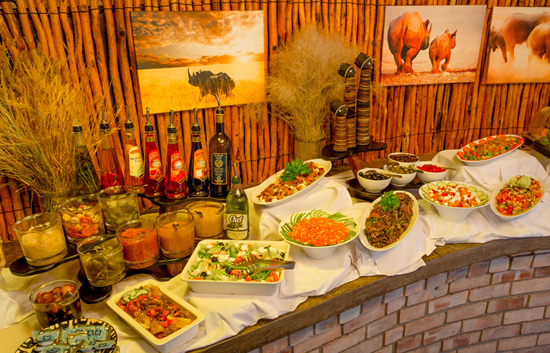 The term "Cuca Shop" originated from the local languages for a shop that sells everything. 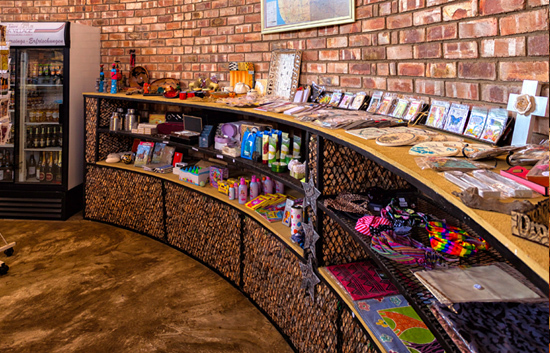 The Etosha Village Cuca shop stocks a little bit of everything and also have cooldrinks, ice-cream, reading materials, curios, cell phone airtime and much more! 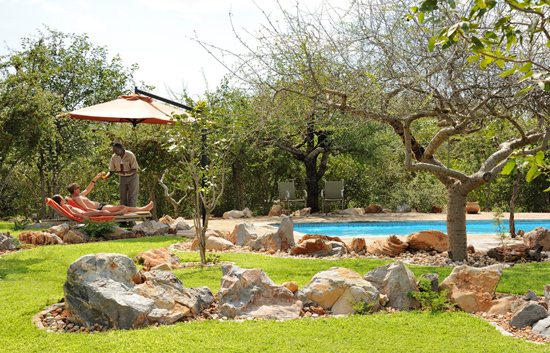 The individual luxurious units offer spacious air-conditioned bedrooms, en-suite bathrooms, shaded seating areas and private parking. 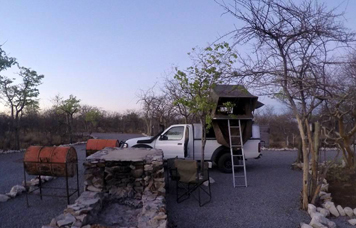 Start planning your trip to Etosha by securing your booking!